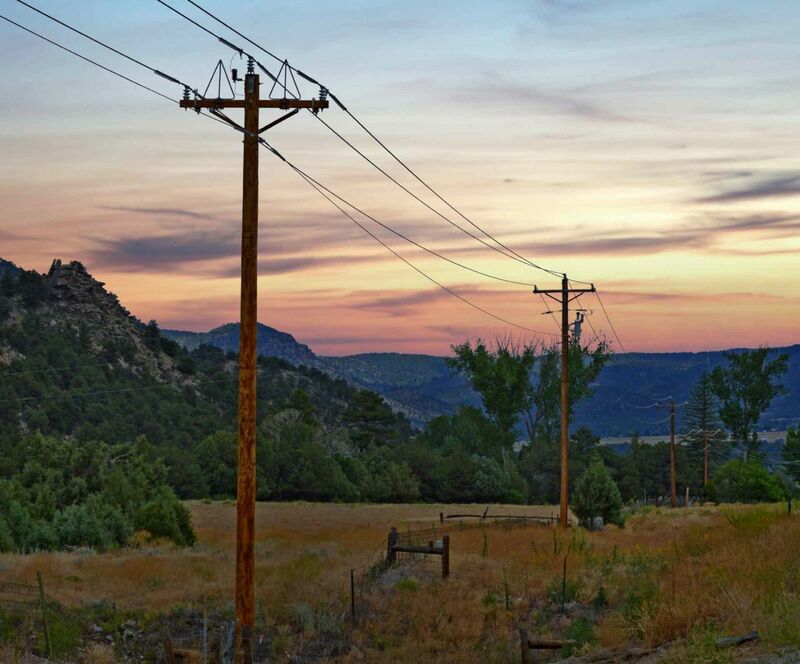 Sangre de Cristo Electric Announces Trout Creek Solar Facility is Operational – Sangre de Cristo Electric Association, Inc.
Sangre de Cristo Electric Association Inc., announced today the 2 MW (megawatt) Trout Creek Solar facility began commercial operation January 31. The project is located on the Colorado Department of Corrections’ Buena Vista Correctional Complex property south of Buena Vista. Trout Creek Solar will generate approximately 4.7 percent of SDCEA’s annual energy usage. Additionally, 310 SDCEA consumers are participating in private solar production determined by net meters – meters that measure the generation of power through individual solar, wind or hydro generation, such as that found from roof-top solar panels or wind turbines at a home or business. Adding consumer net-meter output to Trout Creek Solar’s estimated production, more than 7 percent of SDCEA’s power will be from locally-produced, renewable energy. Tri-State Generation and Transmission, SDCEA’s wholesale power provider, obtains about 30 percent of its energy mix from renewable sources including solar, hydro and wind sources. Combined with the percentages above, about 40 percent of SDCEA’s power supply is provided by renewable sources. Trout Creek Solar’s array will generate about 5,752 MW hours of energy, or enough electricity to supply about 685 typical SDCEA consumer homes in a year. SDCEA has chosen a sun-tracking system to maximize the output of the array, given that it is located in a mountain valley. Trout Creek Solar was approved for construction at the end of August when SDCEA signed a 36-year Site License agreement after 13 months of negotiations with the Colorado Department of Corrections. “We are pleased, through our partnerships with CDOC and juwi, Inc., to have the Trout Creek Solar facility fully operational and providing renewable energy to our consumers,” Paul Erickson, SDCEA chief executive officer, said. An international wind and solar energy company, juwi, Inc., was commissioned by SDCEA to build the solar facility. SDCEA will purchase all the power generated from the solar facility to supply to its consumers. Once final construction cost data is reviewed on the project, details of a potential community solar carve-out will be developed. A ribbon-cutting ceremony for the project is planned for early summer 2019. Will generate 4.7 percent of SDCEA’s annual energy usage. Roughly 40 percent of the energy now supplied on SDCEA lines is from renewable sources now that Trout Creek Solar is in operation. Has 7,952 panels which are on a sun-tracking system to maximize power production. Will generate 5,752 MW hours of energy, enough electricity to supply about 685 typical SDCEA member homes. Engineered to withstand 105 mph winds. Sits on 20 acres of Colorado Department of Corrections property south of Buena Vista.